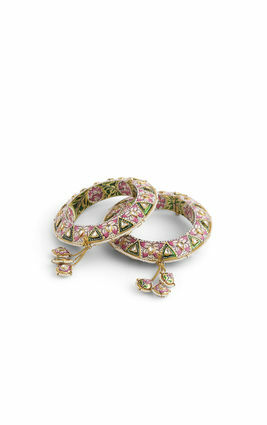 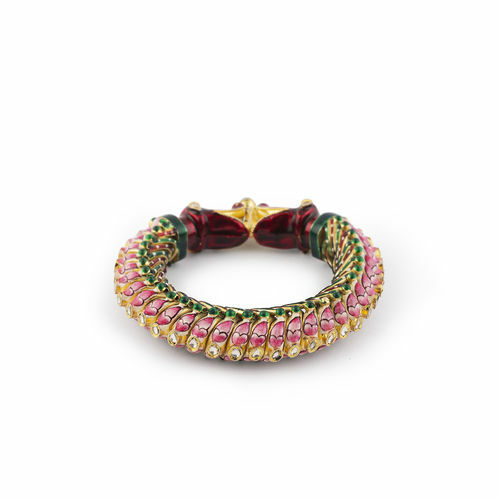 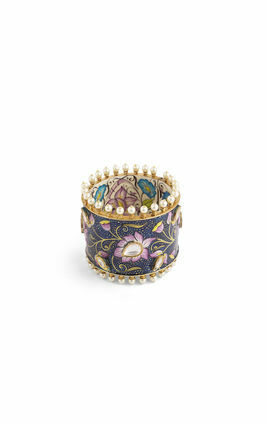 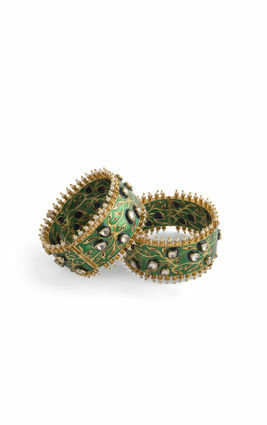 Beautiful gold-polished bangles in a thick kada style, with bright white stones, hand decorated with pink, green and red enamel work. 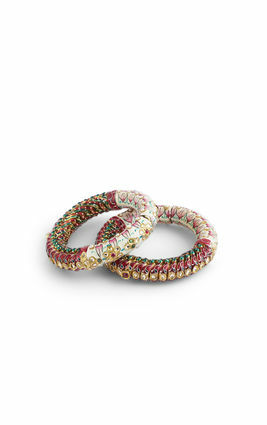 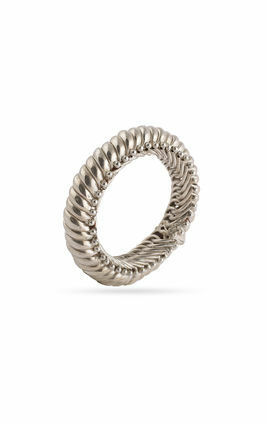 These bangles go beautifully with outfits in shades of pink and yellow. 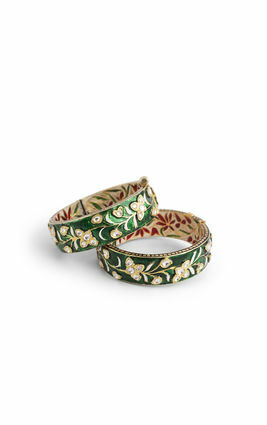 Beautiful gold-polished bangles in a thick kada style, with bright white stones, hand decorated with pink, green and red enamel work. 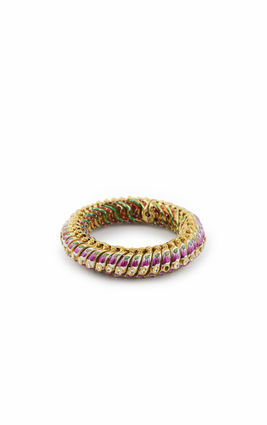 These bangles go beautifully with outfits in shades of pink and yellow.